Sketchblog! : The Man without Fear! 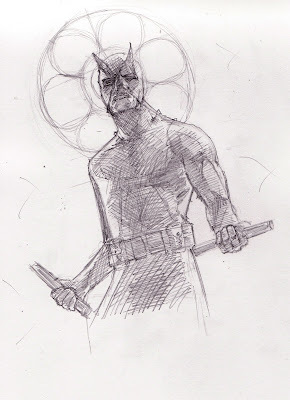 Some Daredevil sketches. 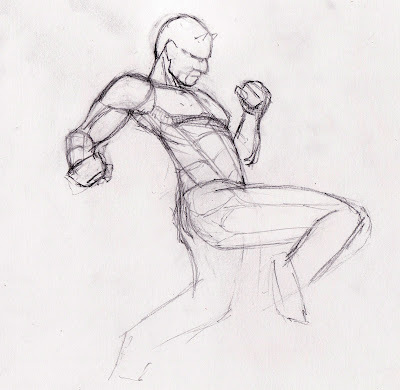 I've been working on coming up with a Daredevil piece and it mus thave taken me days to arrive at something I was close to happy with (immediately above). He's kind of a tough character to capture the essence of, if you go too acrobatic he looks like Spider-man, too dark then like Batman. Though I could see a lot of similarities between Batman and DD, which is partially why I went with with this look. Gonna re-draw it though on watercolor paper and add in some reds. Should be fun.